There are some fantastic underrated actors out there. One of my all time favorites would be an British actor by the name of Jim Dale. He’s been nominated for many awards including an Oscar and a Golden Globe, but the biggest ones he won are 2 Grammies and a Tony. He’s most recognizable for his voice, but Adam and I just loved him in a series of Disney films in the late 1970’s. The first film was Pete’s Dragon in 1977. An orphan boy and his magical dragon come to town with his abusive adoptive parents in pursuit. Seems fitting because a non-musical remake of the film is coming out this month. But the original is a musical and we just love this film. 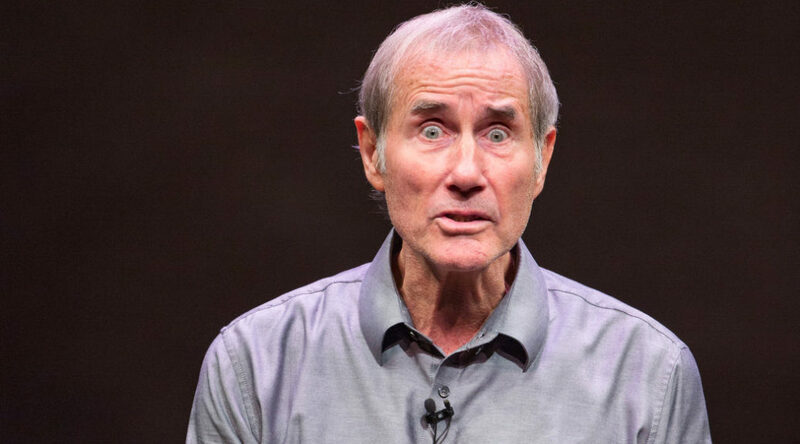 Jim Dale plays the bad guy and con-artist Dr. Terminus, and does a great job singing, so it’s no surprise that he has been nominated for five Tony Awards, winning one for Barnum (1980) for which the New York Times described him as “The Toast of Broadway”, also winning the second of four Drama Desk Awards. The next film was the hilarious Hot Lead and Cold Feet in 1978. 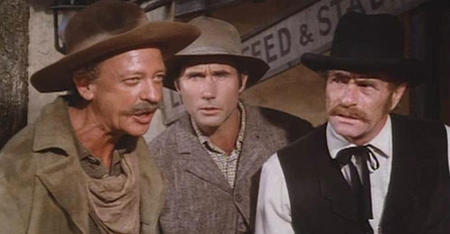 This saga of the old west involves twin brothers who compete for possession of a rickety cow town founded by their father while a crooked mayor tries to put an end to the competitors so he can inherit the town himself. He plays 3 separate roles in in the film, before it was popular to do this. Eddie Murphy made that popular later on in his films. He plays the two twins, Eli and Wild Billy as well as their father, Jasper. Fourth-billed and in a supporting role playing the Denver Kid was actor-comedian Don Knotts who had starred in a number of comic-westerns. Promotional materials for the movie more prominently promoted him as if he were in a lead major role. The film’s main movie poster for example featured an image of Knotts feature prominently in the optical center of the artwork. So I think it really hurt the film overall, as no one knew who this British actor was and every one I knew was waiting for Knotts to appear. 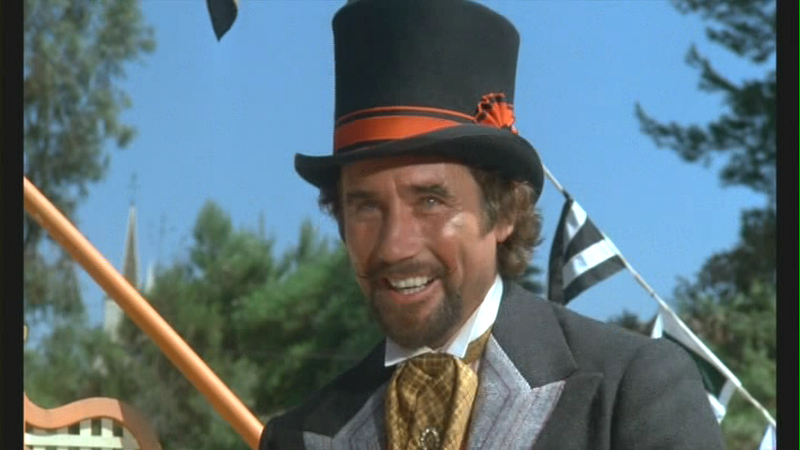 Regardless, Jim Dale is still the stand-out in the film and does a fantastic job. His last film for Disney again has him playing a villain in the Unidentified Flying Oddball in 1979. An astronaut and his android double travel back to the time of King Arthur. Dennis Dugan played the astronaut, as went on to a very success film career as a director for a lot of Adam Sandler movies. The film’s English “Unidentified Flying Oddball” title makes the picture one of few English language filmed adaptations of Mark Twain’s A Connecticut Yankee in King Arthur’s Court not to be named with this title or something similar. Others include Black Knight (2001) and A Knight in Camelot (1998). The movie is commonly known in English language speaking territories by three titles: “The Spaceman and King Arthur”, “Unidentified Flying Oddball” and “A Spaceman in King Arthur’s Court”. 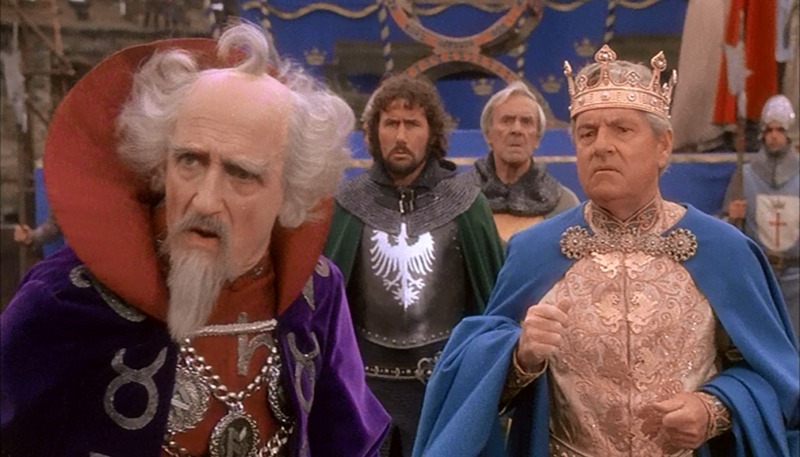 About sixteen years after this picture in 1995, the Walt Disney Pictures studio would adapt again Mark Twain’s “A Connecticut Yankee in King Arthur’s Court”, this time titling the film A Kid in King Arthur’s Court (1995). Ron Moody would also reprise his role as Merlin in this movie. Now after a lot of work in music, TV and movies, he really became well known for his voice work on the Harry Potter Series. 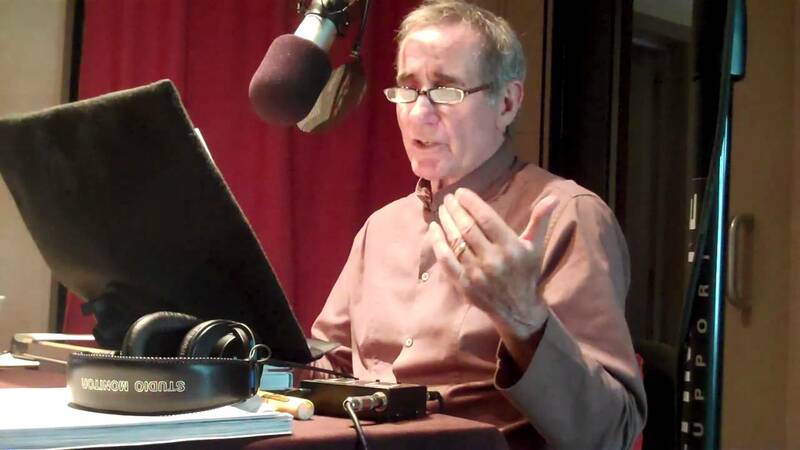 He has recorded all seven books in the series as audiobooks, and as a narrator he has won two Grammy Awards in 2008 and 2001, and has seven Grammy nominations. He also narrates the Harry Potter video games and many of the interactive “extras” on the Harry Potter DVD releases. So if you recognize him, it’s surely by that amazing voice of his. He held a Guinness World Record for creating and recording 134 different character voices for one audiobook, Harry Potter and the Order of the Phoenix.